This entry was posted on 11/18/2010 at 10:12 PM and is filed under 03 : The Dragon with tags Abaddon, Albert Pike, Alderbaran, Aleister Crowley, all seeing eye, Allegheny Pennsylvania, angel of the bottomless pit, angels, Angels and Women, Antares, Apollyon, B'nai B'rith, Beast System, Bible Student movement, blasphemy, bloodlines, brave new world, Catholicism, Charles Russell, Charles Russell grave stone, Charles Taze Russell, Christianized occult, Clayton J Woodworth, commandments, confusion, controllers, corrupt Christianity, demonic influence, demons, denominations, devil, doctrine, dragon, earthly government, Elohim, enlightenment, Enochian, Enochian magic, evil, eye of Ra, fallen angels, fallen spirits, false Christianity, false religion, Fomalhaut, freemason, global controllers, Global Elite, globalist agenda, globalist elite, Golden Dawn, Golden Dawn Magazine, gospel, Hermetic, Hermetic occult, Illuminati, Illuminati families, Illuminism, Jehova's Witness doctrines, Jehovah, Jehovahs Witnesses, Joseph Franklin Rutherford, Lucifer, Luciferian, mainstream Christianity, masonic, masonic imagery, masonic pyramid, masonic symbolism, medium, Messiah, Michael, Michael the archangel, Nephil, Nephilim, nephilim bloodlines, new age, New World Order, New World Translation, NWO, NWT, occult, occult beliefs, occult symbolism, one world system, organized religion, pagan holidays, prophecy, red line, red serpent, Regulus, religions, resettlement of Israel, Revelation, ritual magic, Roscicrucian, rose line, Rothschild, Salvation, Satan, Satanists, Saturday sabbath, scripture, scripture translations, secret handshake, secret societies, Secret Teachings of the Golden Dawn, serpent, Skull and Bones, spirit guardians, spirit medium, spirits, Templar, Templar Mason, The Finished Mystery, Thelemic, Three World Wars, tracts, translations, Watchers, watchtowers, William Huntington Russell, winged disc, witnessing to Jehovah's Witnesses, Yahushua, Yahuwah, Yale, Yale founder, YHWH, York Rite, Zion's Watchtower Tract Society, Zionism. You can follow any responses to this entry through the RSS 2.0 feed. You can leave a response, or trackback from your own site. very interesting. thank you for writing this. I was brought up in a jw family. i knew from around age 10 that it was mostly ridiculous. so many of my family are still in the cult. thanks again for all the research you have done. I’m very glad to hear that you got free of that. Thankfully there is a real Creator who isn’t the “god” of the Jehovah’s Witnesses…and He answers prayers. Keep praying for your family Zoe… He just might open their eyes too. I studied with the JW for about a year, to find out their beliefs and what makes them tick. It didn’t take too long (after one trip to their “service”, nevermind their insistant denial that Jesus has full deity, and insisting Jesus = Michael) that I realized this was a religion which does not have God as the center. You have to ask questions that make them think, because you’ll get an answer that comes from their elders, or a visit from one of such elders. When I stopped their at-home study program, I wrote a nice long letter explaining why I am not comfortable with their religion–with verses to back it up. They are very nice people, which is what gets them inside your home. But if you allow them into your home, work on ways to ask them tough questions without letting on that you are trying to witness to them. I find being an inquisitive student works wonders. It also makes them somewhat uncomfortable, as they note your questions and bring in their elders for advice. They won’t always have an answer to your questions on the next visit, but keep asking different ones. This, btw, is a great site! I wondered how they were connected to the occult world. I only just heard recently about the Illusionists–I knew about the Bilderbergs, and the CFR, and the Trilateral Commission, etc. When I was younger, I remember watching a movie on Revelations and it stated that the religion of the Devil will increase exponentially in the days near the end of times as we know it. This number, if you ask a JW, is something they are proud of–the number of followers vs Christianity. Yes, there are problems with Christianity, even in the days of Paul, his students would defect and try to create something that just wasn’t right. This is why he states that we should continually test the spirits.. (well, imo anyhow). There are sects of Christianity that are politically motivated, there are sects that think they are God (insert pope), and there are also sects which are none of that. You really have to dig deep and ask a lot of questions. Most of all, you have to let the Holy Spirit guide your decisions. I’m not the best example of Christianity, but I also understand things a little better, now, when I read the Bible on my own (which, btw, the JW will swear you just cannot do) and my eyes are opened with the Holy Spirit. Jesus talked in parables for a reason, which He, Himself stated, “so that those who see will not see, and those that hear will not hear.” You cannot see what needs to be seen, nor hear what needs to be heard, if you do not have God’s Holy Spirit guiding you. I am not with the Jehovah’s Witnesses; I am a Bible Student, as was Charles Taze Russell. As yet, in all the imaginative arguments that I have seen presented by those who claim that Russell was a member of the Freemasons, I have not seen anyone present any proof that he was a member of any Freemasons’ lodge. On the other hand, we have tens of thousands of pages that have been produced from Russell’s works that overwhelming testify that he was NOT in support of any of man’s “secret societies”, including the Freemasons. This article did not really focus on Charles Taze Russell being a Freemason other than his own statements about it. I realize there are debates about whether or not the pyramid was placed according his own wishes and on its own it can continue to be a debate but lets take into consideration the numerous indications that he was tied to occult activity of some form. Occult symbols, terminology and promoted literature is a body of evidence all its own and is included in the above article. The nature of occult secret societies which move trends of religion as well as everything else in the world is to be covert. I would no more assume that Russell would have been forthright about his connections any more than i would assume Freemasons would openly declare an allegiance to Lucifer or that any lodge would claim C.T. 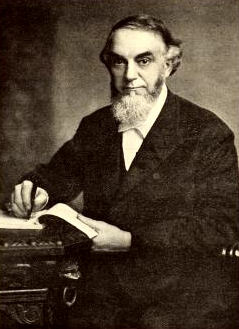 Russell as a member. Whatever one thinks of this one man, the denomination springing from his teachings is what it is… a very difficult collection of history and doctrine to divorce from occult influence. While the article is not about Russell directly, there are many direct statements presented in throughout the article that misrepresent Russell, and that is what I was responding to. Evidently, however, you have focused only on the first post listed of the link I gave, and ignored the others. Whether Russell was buried under a pyramid, or whether he ever desired for a pyramid monument to built in the Rosemont Cemetery is actually irreleveant — except to show how many in their misguided zeal misrepresent the facts. Yes, Russell said: “I am a free and accepted Mason.” Was he saying that he was a member of the Free Masons Society? Absolutely not! The context shows that he was referring to “Bible masonry”, not the human organization that goes by the name of ‘Free Masons”. 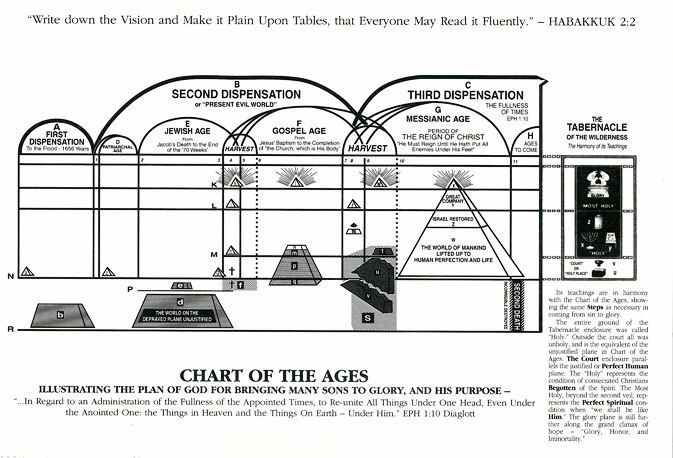 He was using using Free Masonry terminology to illustrate the Biblical building being done by God through His church. — See: Luke 6:47,48; Romans 14:19; 1 Corinthians 3:9,10,12; 14:12,26; 2 Corinthians 6:16; Ephesians 4:7-16; 1 Thessalonians 5:11; Revelation 3:12. Russell used no “occult symbols”, although many, by use of human imagination, and assumptions based on what is being imagined, claim that he did. The fact that occultists may use similar symbolism as the Bible employs does not mean that the symbolism itself is an occult symbol. Occultists use the Bible; does this mean that the Bible itself is an “occult” book? Russell was not an occultist. Russell was not Satanist. Russell was not into spiritism, occult practices, astrology, demonology, etc. Most of what Russell wrote was about the atonement, how the blood of Jesus atones for sins, and how to apply Bible principles in following Jesus. He spent most of time, energy and money defending the ransom sacrifice of Jesus. Would a man spend most of his life openly sabotaging what he is supposed to be secretly supporting by sabotaging what he is supposed to be secretly supporting? Such makes no sense. The JWs denomination has rejected the central teachings of Russell, and replaced them with their “organization” dogma, and a message that basically states: “Join us or you may be eternally destroyed in Armageddon”. This message is almost the opposite of that which Russell preached, since he believe that Armageddon was to chastise the people of the nations, not eternally destroy those people. As far as I have been able to determine, no one ever claimed that Russell was a member of the freemasons while he was alive. The first such “accusation” I have found appears to be that of a woman by the name of Edith Star Miller, who wrote a book with title “Occult Theocrasy,” which was originally published in 1933. Her claim that was Russell was part of conspiracy of Masons’ alleged occult plan to rule the world. In fact, Miller totally misrepresented Russell and what Russell taught in order to make it appear that Russell was indeed an occultist, a Mason, etc. 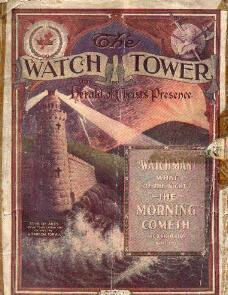 Very few, however, took Miller’s book very seriously until Fritz Springmeier and David Icke resurrected her teachings and embellished them with all kinds of other alleged “proofs” that Russell was a freemason, and alleged as a member of an alleged “Illuminati” whose goal is to rule the world. From that, others who hate Russell have joined the misrepresentation of Russell as a Mason. 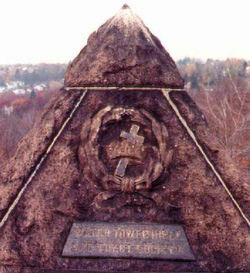 In reality, none of them ever present any actual proof that Russell was Mason (nor could they, since he most definitely never was a Mason), but what they present is their own imaginations placed over such symbols as the cross and crown symbol, the winged disk symbol, some quotes of Russell taken out of context (or in some cases, totally reworded to fit the perception they are wishing to display of Russell), etc. Fritz Springmeier, in his misguided zeal, even claims that Bible writers were under the influence of heathen occultism. Do you believe that Bible writers were under occult influence, as Fritz Springmeier claims? Springmeier further denies the basis of the ransom sacrifice as given in the Bible by his claim that there exists Satanic bloodlines, implying that any of such bloodlines cannot possibly be any otherwise than Satanic. From the Biblical standpoint, it would seem to mean that such of these Satanic bloodlines cannot be saved through the blood of Jesus, which would further mean that such bloodlines are not of the Adamic bloodline. Likewise, there is no evidence that Russell “supervised” the editing of the book “Angels and Women”, nor is there any evidence that he ever recommended the book “Seola”. The book “Angels and Women” did not exist while Russell was alive, and thus, of course, never mentioned such a book; Russell never made any written statement at all concerning the original book, “Seola”. There is NO INDICATION whatsoever that Russell was “tied to occult activity”, except that one use the spirit of human imagination so as to imagine and assume such upon, adding and reading such into, what he actually stated, presented, did, etc. For instance, it is often claimed that the cross and crown symbol IS an occult, Masonic, Rosicrucian, and/or Illuminati symbol, and based on what is being imaged, it is often assumed and claimed that the cross and crown symbol that Russell employed was an occult, Masonic, Rosicrucian, Illuminati symbol, and from that it is further imagined and assumed that Russell was an occultist, a Mason, a Roscicrucian, Illuminati, etc. I have been studying Russell’s works for more than 50 years; his works abundantly and overwhelmingly testify that he was NOT an occultist, he was NOT a Satanist, etc. For most who are truly familiar with Russell’s works, all such-like accusations appear totally ludricruous. For one who is truly familiar with Russell’s works to support such deceptions would imply that he would do so with a measure of willfulness. I don’t argue that it equals an admission that he is a Mason, let’s take it for what it says in plain text. 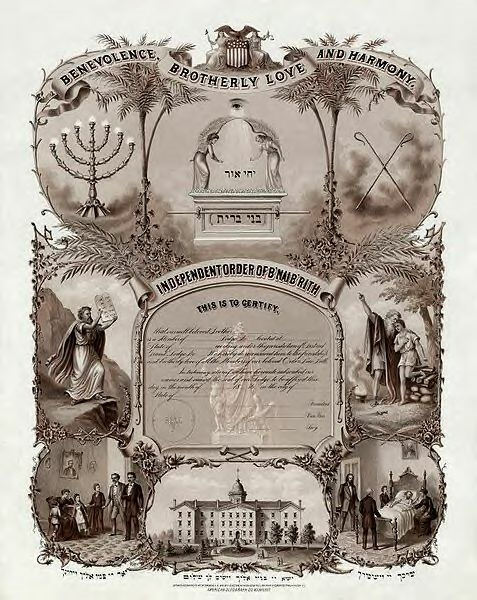 He has no quarrels with Masons, calls them friends, even brethren, does not mind likening himself to them even if he is not one himself and says that they hold “very precious truths”. If he has no direct affiliation with freemasonry, he certainly has no problem with them either and is in some respect knowledgeable about “truths” that they hold. How is it that he receives the same instruction from YHWH that Freemasons have received from their god? Isn’t Yahushua the stone that the “Builders” rejected? Is the winged disc represented biblically? There is actually no glyph or pictoral symbol of any kind present in the bible. There are “word pictures” to which some symbolism utilized today and in the past allegedly refer to. Some are better at looking biblical than others. Many have an unquestionably pagan root and reference. If he meant nothing untoward by it, then perhaps hundreds of company logos mean nothing, perhaps the masonic symbolism of the dollar and the nations capitol means nothing. Isn’t that the name of the game? Have you heard of project Mockingbird? Even our military and government plays that game. Elements of Gnosticism are in many “Christian” denominations…even most of them. It would openly seem that any of these were truly Christian and yet somewhere at its root, it was infected with a different agenda. I agree there have been doctrinal changes. The problem for me is that they both veer from scripture. It would seem that wherever there is an influence of the Gnostic type we get the message that our Savior is not our Creator. It may work itself out through different philosophies in different ways but it comes out the same in the end. Whether or not Russell was ever a member of a Mason lodge is not as much an issue for me as what he apparently did see eye to eye with such a philosophy about. He has a pretty staggering array of coincidental comments, symbolism and philosophy which jive nicely with Luciferian belief systems…even according to his own words. Why is there hatred of a man who lived in the 1800’s and has no denomination which any longer represents or teaches exactly what he taught? I don’t hate the man… i believe he was exposed to luciferian ideals and was in many ways taken by them and genuinely saw them as for the greater good. I don’t think a modern conspiracy against him makes a lot of sense or benefits anyone’s agenda. I can point out what’s wrong with JW without mentioning Russell. I don’t know if you’re under the impression that i’m a big Fritz Springmeier adherent but i have not used his material to find out the information i’ve written on in the various articles on this site. That said, no..i don’t think the bible writers were under occult influence…but i do believe some translators were. I don’t know whether or not Fritz sees such bloodlines as unsalvagable. I’ve never read or heard him to have commented on their eligibility for salvation. I can tell you what i believe though…and that is that Yahushua is the great equalizer. Even in the case of the first of the nephilim, Adam was still an ancestor. I do not subscribe to the “Cain is the son of Satan” theory…but i believe Genesis 6 and 1 Enoch which says that the fallen angels took wives from among the daughters of Adam. Which brings us to Seola. I was in error in what i said concerning Angels and Women..that book was not in existence during his lifetime, rather it was the revision that he recommended be made of the original book Seola. That information was in the Golden Age Journal…i don’t know if you consider that to be inconclusive because it was written about Russell rather than by him. I don’t have a reason to want CTR to have been involved with the occult. If in spite of some things he did and said, he was not so involved then my dispute with his teachings would only be on doctrine. He does have the benefit of the doubt as far as i’m concerned…because the point is that i’m highly skeptical of what his intentions were..not that i know what they were in his heart of hearts. I can’t possibly.